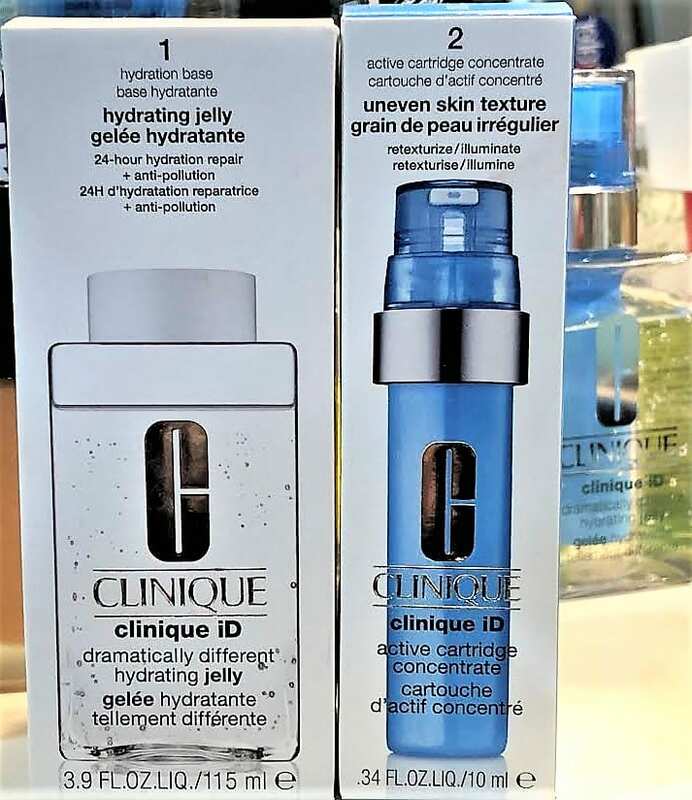 Recently, Clinique launched the Clinique iD Custom Hydration System. When I think of Clinique, I think of their three steps to better looking skin. First, step one is the cleansing step. Next, Step 2 is the toning/exfoliating step. Finally,step three is the moisturizing step. I can still see pictured the square bottle of yellow moisturizer. Next to the moisturizer, was a huge bar of soap. Last, to finish the picture, a bottle of Clarifying Lotion, stood in the middle of the two. The picture I just described was everywhere. To start with, it was in every magazine. Also, it also appeared on television. In addition, you couldn’t get in your car and not see it on bill boards everywhere. However, today, in 2019, the world changed. As a result, the way we think about our skin has changed. Furthermore, Science and Technology have come a long way. Above all, women have become more educated, and understand how important it is that we take care of our skin. Furthermore, each one of us is unique. Therefore, so is our skin! With the internet, You tube and other advances, we read up on everything. 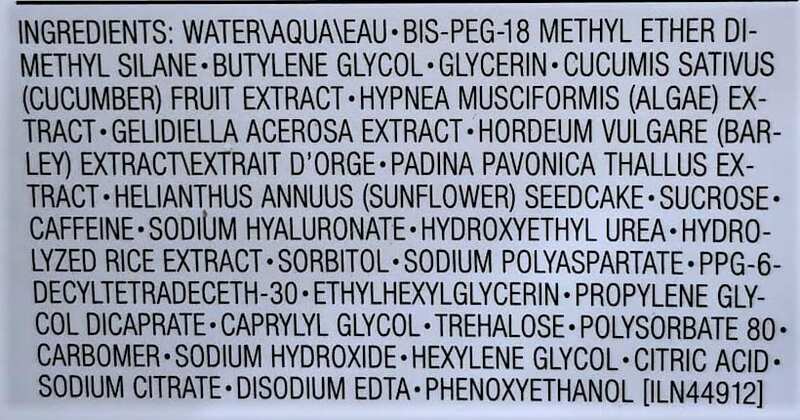 As a result of this, Clinique has evolved to the point that any one product, or any one skincare regime will not be the right one for everybody. We each have unique skin, that requires specific products or skincare, while others need something else. It may not take three steps to better looking skin. It may be you need one product. Or, maybe you need a certain facial treatment. This is the reason Clinique created iD Custom Hydration System. You can find the new Clinique iD Custom Hydration System at Ulta, Sephora, Macy’s, Bloomingdales and the Clinique Website. The Custom Hydration System comes in two parts, and retails for $39. So, I’m just making the situation worse! And, I have been using some really harsh products to address the bumps. I purchased Cor Silver Soap. Actually, it started to work.. However, my skin has become so sensitive. I think the silver soap was too strong to use two times a day. Thus, I only exacerbated the problem and made it worse. All I can do is cover the whole mess up with the Bare Minerals Blemish Concealer. Finally, Clinique has reconsidered their one -size-fits-all approach to skincare. Furthermore, Clinique realizes that women now need a beauty system that speaks to our individual needs. They have always understood that one thing everyone needs to do is keep our skin hydrated, regardless of the individual issues we have with our skin. So, they developed a new system that still includes that square bottle of yellow moisturizer( which is still a favorite staple in the brand). However, they now include 3 Dramatically Different Moisturizers. an oil free moisturizer and a hydrating Jelly moisturizer. To begin with, you need to choose a moisturizer. First, the favorite Dramatically Different Moisturizer is a moisturizing lotion that gives you eight hours of hydration . Moreover, the delivery system is a silky lotion. Next, you can choose the Dramatically Different Moisturizer Oil Control Gel. This Gel also gives you eight hours of hydration, however it is in an oil-free gel. Third, the moisturizer I chose, is the Dramatically Different Hydrating Jelly. I chose the Jelly because it gives you 24 hours of refreshing hydration. Plus, it protects you from pollution. Clean Shield Technology locks in good moisture, and filters out bad moisture. The Jelly will also strengthen your skin’s moisture barrier. Furthermore, the jelly improves resiliency. And, I loved that the delivery system, a lightweight , clear jelly, is unique. Also important, the jelly penetrates quickly into the skin. Also, I love the way the Jelly looks in the bottle. (And you will soon see, especially with the cartridge in it!) Now I’m getting ahead of myself! Now it’s time to Personalize your Hydration. In addition to your choice of hydration, you can also choose your active ingredients. These actives ingredients will address your specific needs or concern. Clinique created five different color-coded cartridges. Each of the cartridges has specific active ingredients that treat a specific need or concern. Furthermore, Clinique performed a study to discover women’s top five skin concerns They discovered the top five, and created five cartridges for the top five concerns all women have with regards to their skin. First, The Fatigue cartridge is orange. The formula includes Taurine, which energizes the skin. As a result, the formula revives a glow and visibly reduces signs of skin fatigue. Next, The Lines and Wrinkles Cartridge is purple. The formula includes Whey Protein. Furthermore, Whey Protein smooths lines and re-plumps the skin. In addition, the cartridge for Skin Irritation is Green. The formula includes Luctobacillus Probiatic Ferment that reduces redness and soothes irritated skin. The white cartridge is for Uneven Skin tone. The formula has Japanese Angelica Root to reduce patchiness, even tone, and add brightness. You will see a visible results, with an improved skin tone. I chose Uneven Skin Texture in the Blue Cartridge. The reason I chose Blue is it has AHA’s in the formula that work to re-texture and illuminate your skin. Therefore, the results are a visible improvement in texture. Hopefully, that means good bye bumps under the skin. The AHA’s should take care of that. I am not sure what you do when you have more than one issue. Now, I also have irritated skin. I’ll agree it is probably my fault for playing skin specialist, and devising different remedies to get rid of the bumps. So, now I not only have bumps, I also have irritated skin! First, you pick one of the three moisturizers. Then, you need to customize your hydration. Therefore, you choose one of the Concentrated Actives Cartridges. Take the lid off of the square hydration bottle. Then, take the bottom off of the Actives Cartridge. At this point, take a look at the contents of the moisturizer. It is important that you recognize that there is some extra spece in the hydration base. The reason for this space is to allow for the cartridge to be inserted. First, the hydration base has 115 ml. Next, the cartridge is 10ml. 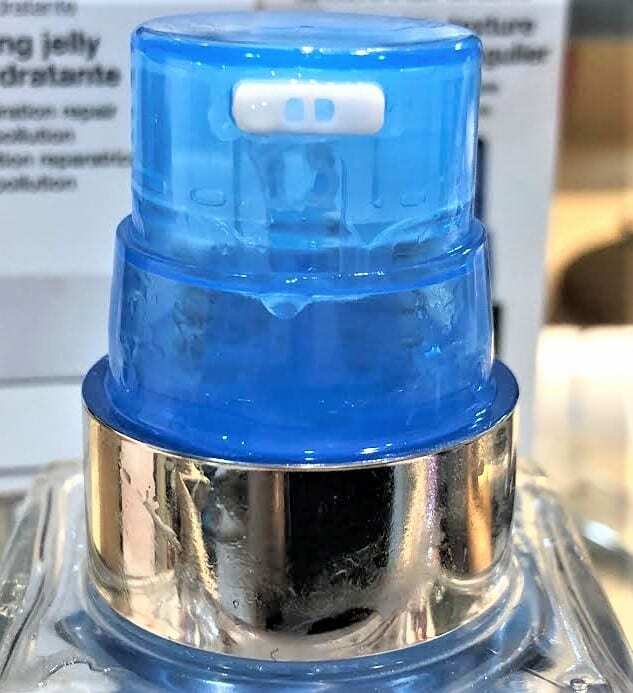 The cartridge will fit perfectly into the hydration base. Now, insert the cartridge into the hydration base. Then pump the top pump so that the moisturizer combines with the serum. For instance, I needed to do a few pumps before I saw the blue color come through, and into the serum. 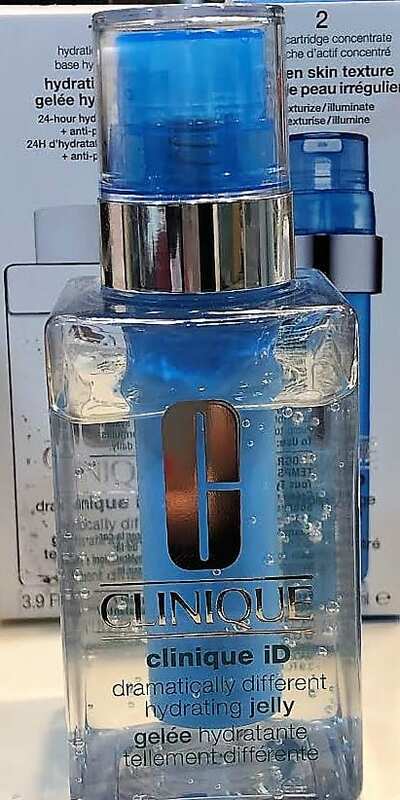 The directions are to use the Clinique iD Hydration System morning and night. Considering how expensive skincare is , $39 is a bargain for the System. You get two products, and they should last three months. We’ll see about that. One last thought, sometimes we are overwhelmed by multi-uses of the products on the market. In this way, it leaves us confused. How do we choose what’s right for us? I spend a lot of time and money looking for skin care products that actually work on my skin. I am sure a lot of us do. And, when we are going through these products, sometimes we (me) can exacerbate the problem and make it even worse that it already is. 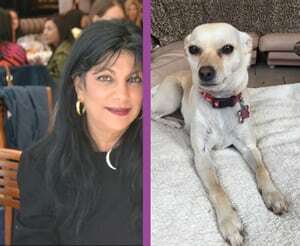 I understand what Clinique iD is trying to accomplish, which is by personalizing the skin care, it will give everyone something that addresses their individual needs. You’ve got a lot of choices with this Hydration System. There are fifteen different combinations you have create. 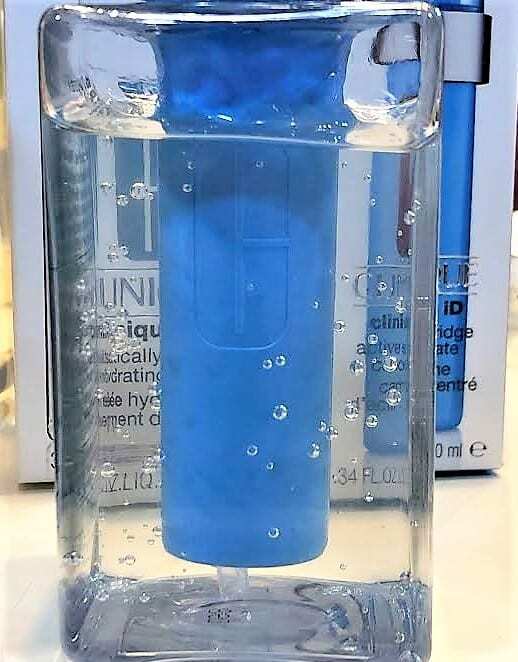 The three hydration bases, can be combined with the five active ingredient cartridges in 15 customized ways, depending on your different needs. It’s Your Turn. Let me know what your skin care iD would be. What are your skin problems? Also, what hydration base would you use? And, what color cartridge would you include to customize your hydration system? Let me know in the comments below! Very interesting! Would be confusing without your explanation!! !